Firefighters at the scene of the fire which extensively damaged a Narrabundah apartment. Photo: Supplied. 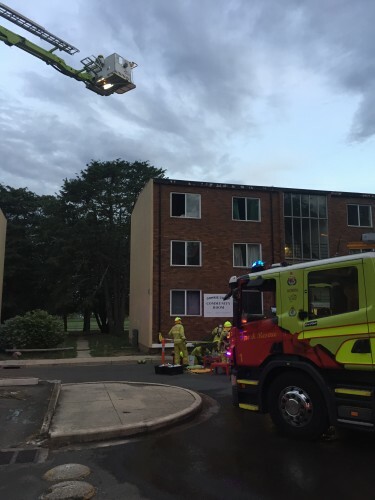 A third-floor apartment at Gowrie Court in Narrabundah was extensively damaged by fire last night (Friday, December 28). ACT firefighters searched the apartment but found it was unoccupied. They evacuated surrounding areas as a precaution. ACT Fire & Rescue was called to the incident on McIntyre Street just before 8 pm last night (December 28). They quickly extinguished the fire but say the damage was extensive. The cause of the fire is still being investigated. Three pumpers, the breathing apparatus van, Bronto aerial unit and two commanders attended the incident.